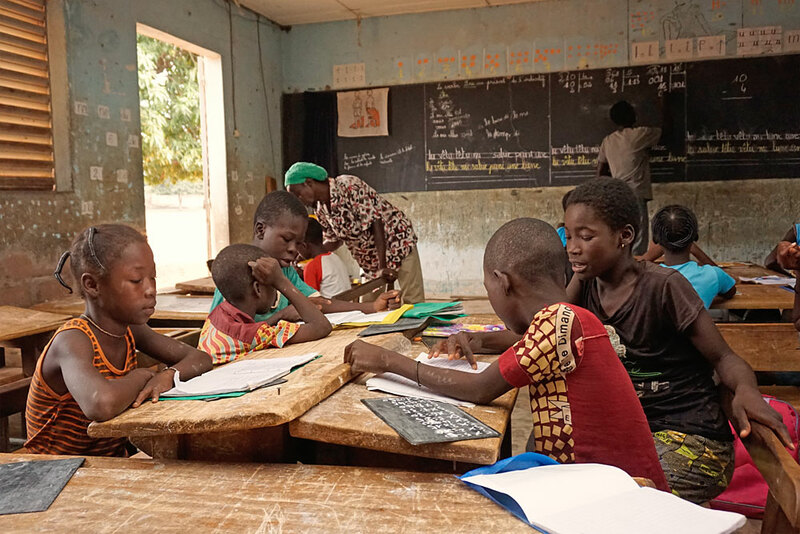 Compulsory education was made official in Burkina Faso in 1983. However, many families cannot afford the enrollment fees. Also, class sizes of up to 120 children make for catastrophic learning conditions. A mere 45.9% of children complete primary school with a degree! FANGA e.V. is attempting to improve this situation with its sponsorship program. In cooperation with social services and the rectors of schools, children are selected who come from extremely poor family backgrounds. Many of them are half or full orphans. A German member visits each family in their home in order to learn about the living conditions of the child. Using sponsorship money from Germany we provide for childrens’ school fees and necessary materials. The children receive additional instruction or homework in small groups with one of our FANGA teachers in order to improve on their chances for success. Since all education is useless if a child is hungry or ill, we also fund lunches in the school canteen, provide a healthy dietary supplement of fruit and yogurt, as well as medical care.